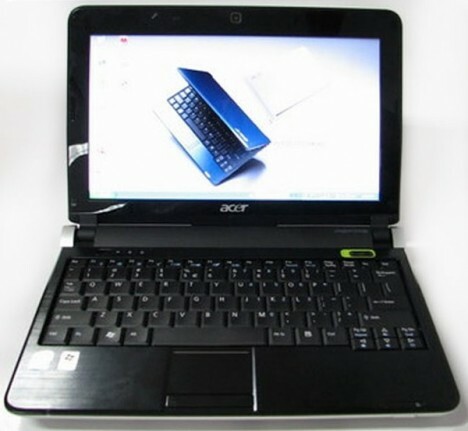 Joining the pack of Samsung NC10, Asus EeePC 1000 and Dell Adamo is Acer’s 10-inch netbook, Aspire One 103. The ten-inch netbook is getting ever more popular and offers a more compact and practical alternative for users. Many of the features of old Aspire One models are retained in Aspire One 103 including 1.6GHz Intel Atom N270, 160GB hard drive, 1GB RAM, , 3G option, Bluetooth, Wi-Fi SDHC card slots, and 3 USB ports. One exciting change in Aspire One 103 is of course the improvement to its bottom panels so that RAMs/HDDs could be easily inserted or taken out. Revised trackpad button layout and a multitouch trackpad prepares users to use Windows 7. The price of Aspire One 103 will likely remain competitive.